For those of you who follow my blog faithfully you may have noticed I have been MIA for the last couple of weeks. Well I have good reason! In anticipation of one of my favorite times of the year, I traveled to Germany in search of Christmas inspiration to share with all of you. 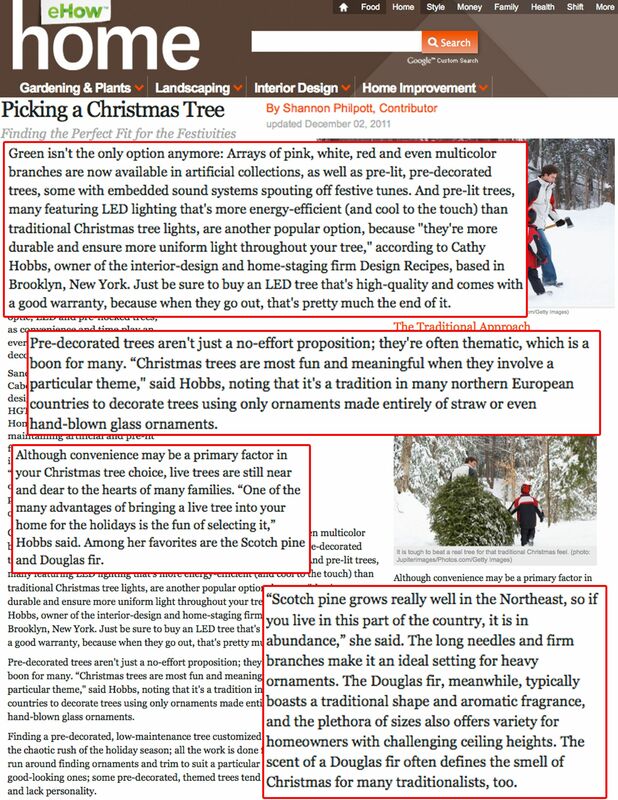 Germany is actually the birthplace of the time old tradition of erecting a Christmas tree. 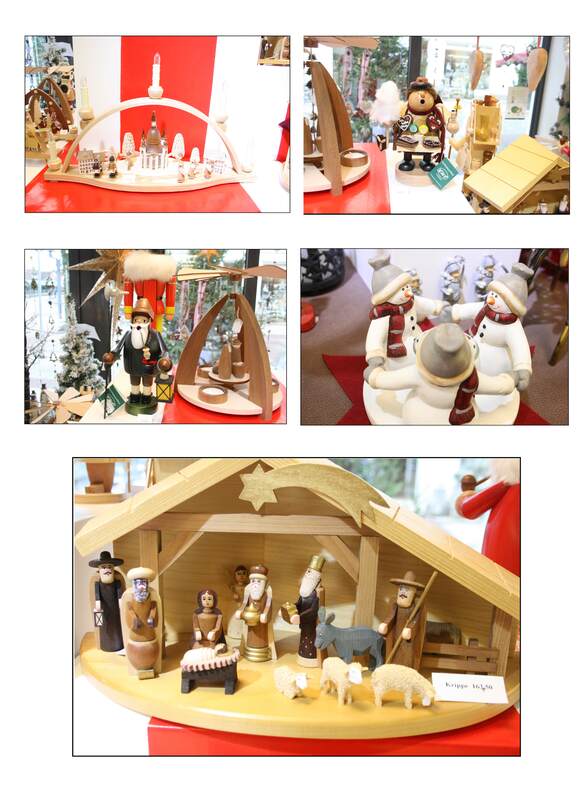 In Germany, “tannenbaums” can be seen in nearly every store, Christmas market and home. 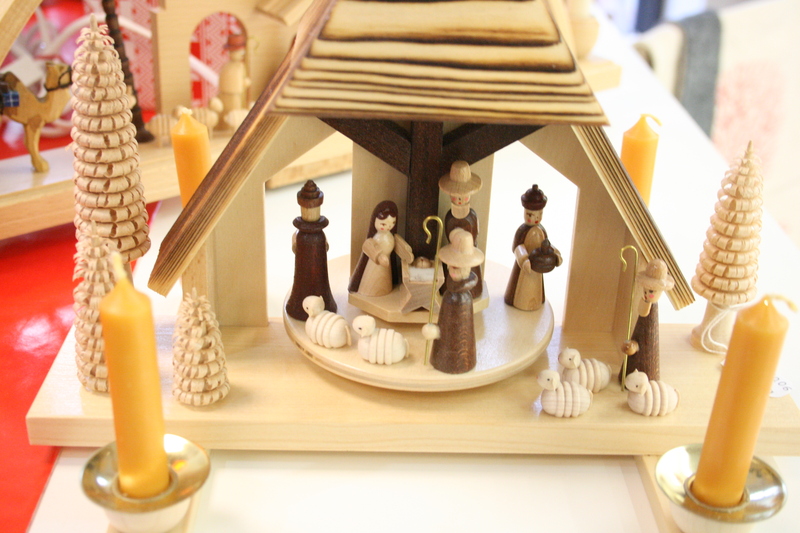 Germany truly comes alive during the Christmas season! I had the opportunity to travel to the Ostfriesland region in Germany in Northern Germany and I am thrilled to share some of my favorite finds! Beautifully wood carved carousels are a tradition in Germany. One can often find them in window sills at night lit by battery powered candles. Other versions use traditional candles lit with a flame. The heat from the candles is what powers the rotation of the carousel. Be prepared to spend around 200 euros for these fabulous finds! In nearly all Germany cities the core is a central village in which a central “market” is set up. This Christmas market is in Aurich, Germany a small farming community about an hour from the city of Bremen which is a shipping port. In German Christmas markets one can fine lots of food booths with tasty treats, vendors selling traditional crafts and rides for the kids! Lots to choose from! From Germany sausages to hot wine and savory sweets! My little girl rode this carousel 5 times! 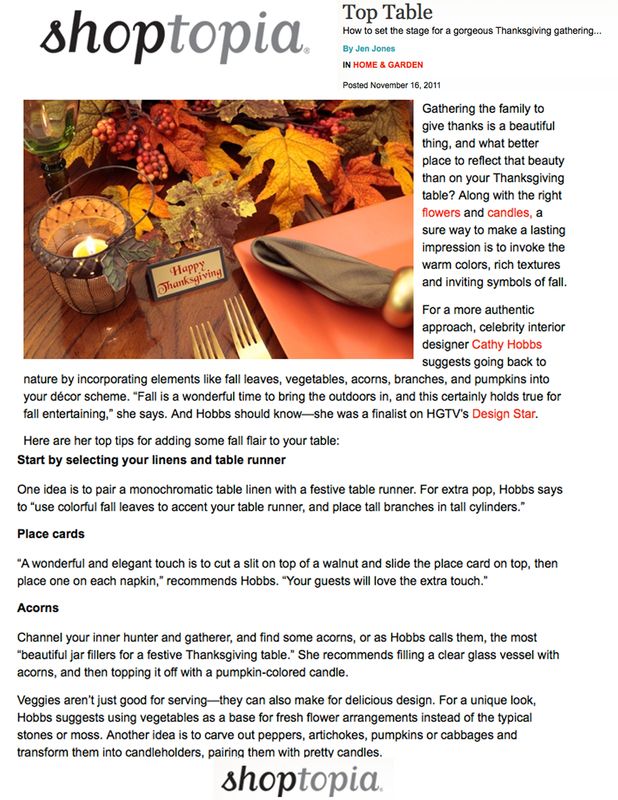 I am always on the look out for really great holiday ideas, especially when it comes to entertaining and table settings. I just wanted to share two ideas I really love. One of the special touches I really like to incorporate when it comes to entertaining is having an individual place card for each guest. I think it really adds a “final touch” to a table. 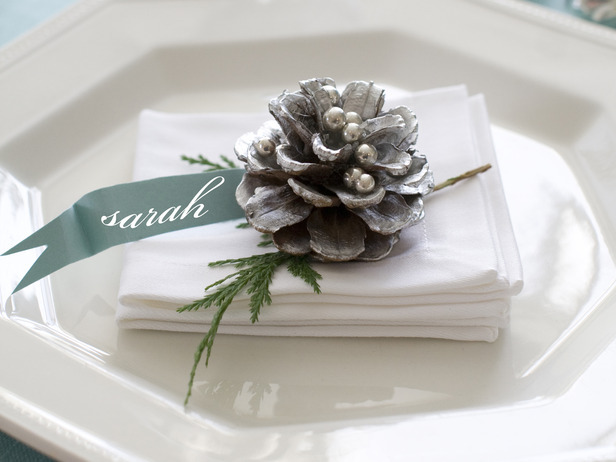 This place card is super simple to make, simply take a pine cone, add a sprig of evergreen and write your guest’s name on a simple ribbon with a white or silver pen! As the mother of a young child, I have become really fond of ink stamps. By daughter has a ball and it is a really simple way to make designs. Why not use ink stamps to make a unique placecard! 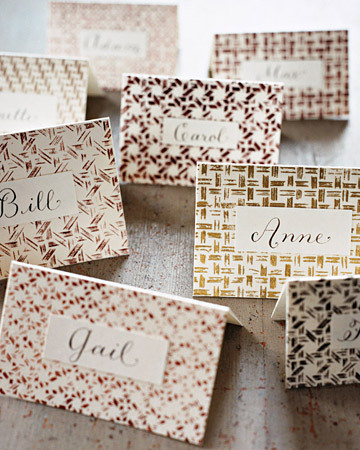 All you have to do is buy a plain place card, a festive stamp and ink pad! From traditional red and green to fashionable glitz and glam, Cathy Hobbs from Metro Residential stops by the WPIX-TV studio to give Christmas tips to liven up your tree. 2. Pine cones, walnuts, acorns and berries and affordable home made items! It’s the holidays! So have fun and enjoy! One idea is to decorating using a Candyland theme. This is a tree that the whole family will enjoy making especially the kids! You can take items like gummy bears, gum drops and licorice and string them around the tree in-lieu of garland, also hang colorful candy canes! I love designing using a monochromatic color scheme then adding a burst of color in the form of an accent color. Think of decorating using mostly white or silver ornaments then add an accent color such as peacock blue, red, orange or yellow.